Of all the plants in our garden, the hearty rosemary is doing the best. Its woodsy scent is divine, noticeable every time you pass it by. So what to do with a bumper crop of rosemary? Here’s a few of the ways we’re using it this season. 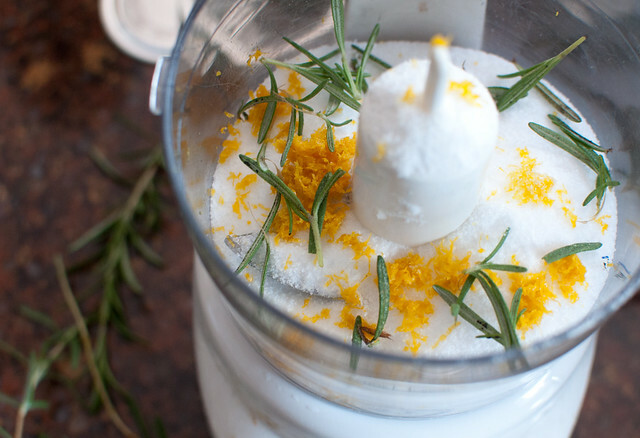 This recipe for orange rosemary salt scrub couldn’t be easier and makes a great gift. Pulse the dry ingredients in a food processor (1 cup salt, zest of one orange and 1 tsp. rosemary leaves taken off the stem), transfer to a bowl, stir in 1/3 cup olive oil until evenly combined, then place in a jar. To use, rub a dab on wet hands, rinse and dry. 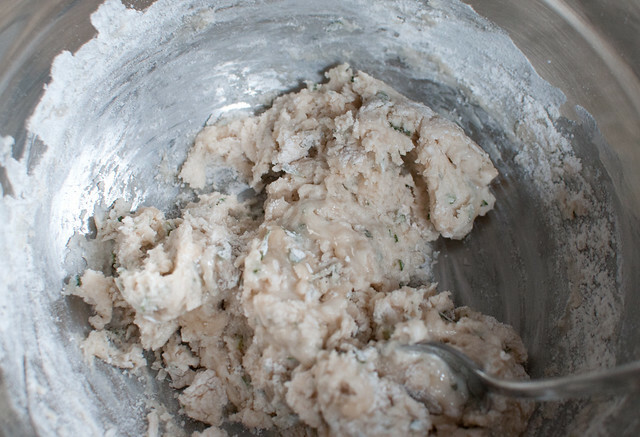 Not only does it smooth and soften your skin, it also smells wonderful. 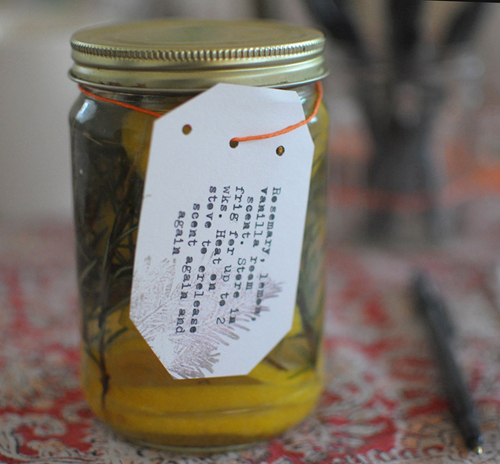 Leslie made some of these room scents for a past food swap. 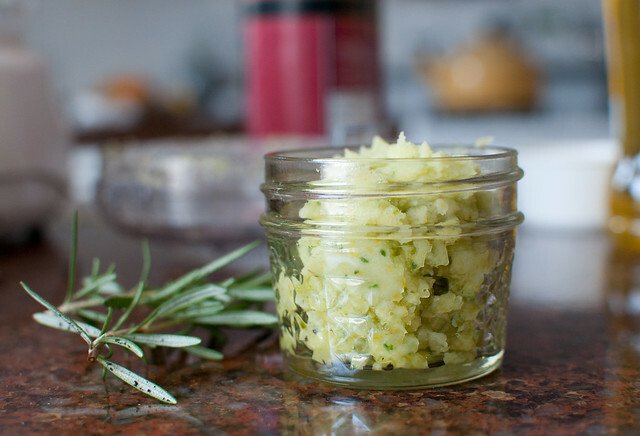 Place a few sprigs of rosemary and lemon wedges in a jar and fill with water. When ready to use, just simmer the mix in a pot on the stove. Room scents are an instant way to freshen the air in your home and can be reused multiple times! 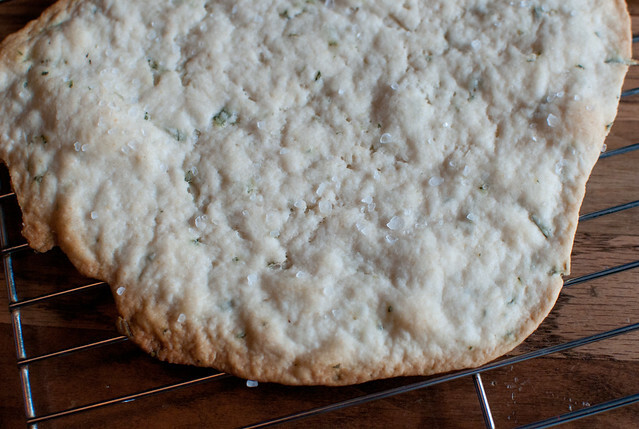 This is one of my favorite ways to use rosemary — the recipe comes from Epicurious. 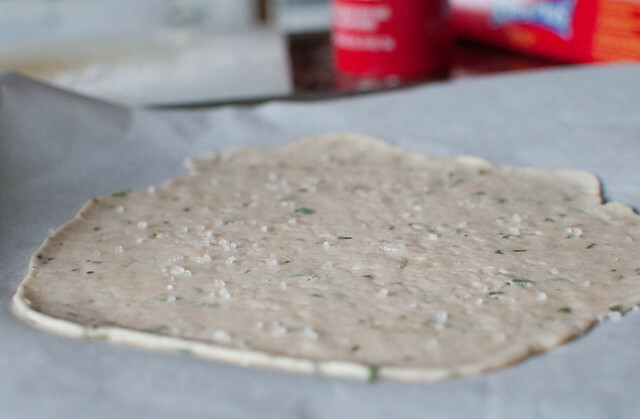 Mix the ingredients in a bowl, divide into three pieces, roll each piece as thin as you can on parchment paper, spread on more oil and a sprinkle of sea salt and rosemary, bake for about 10 minutes. 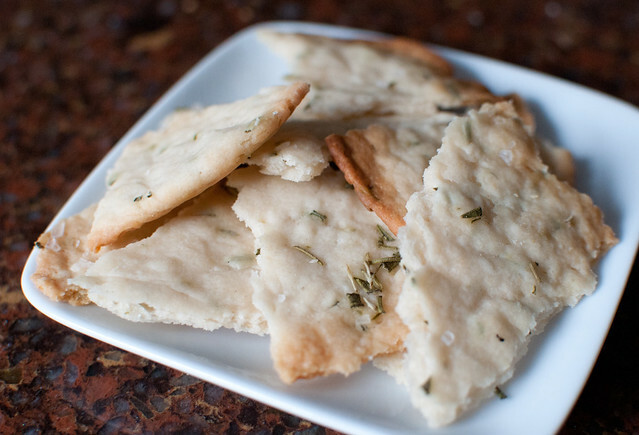 After the large crackers cool, break into 2-inch pieces and enjoy. 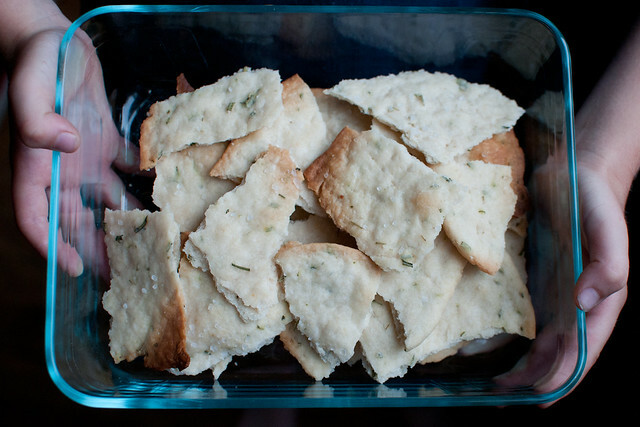 If you don’t eat the entire batch, they still taste crisp and delicious days later if stored in an air-tight container. 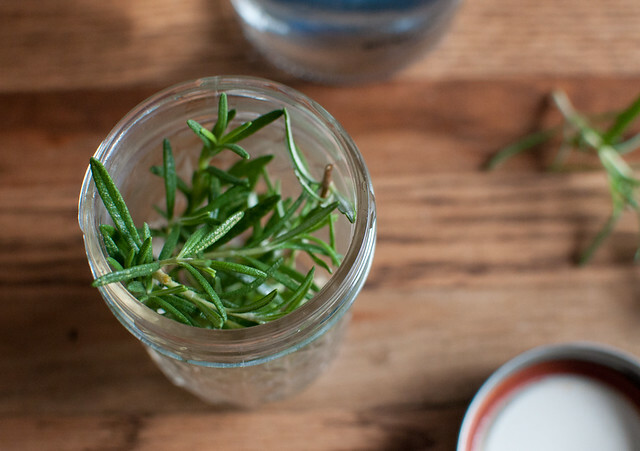 To give your cocktails some extra flavor, put a couple sprigs of clean rosemary in a jar, cover with vodka and let sit for a few days. 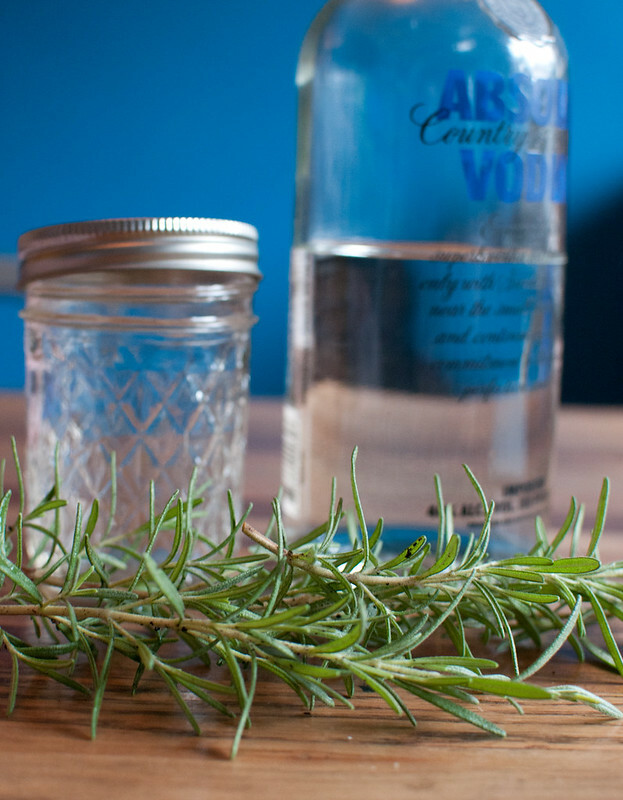 Once the vodka starts to turn yellow, remove the rosemary and discard. The vodka is now ready to use and will last indefinitely. 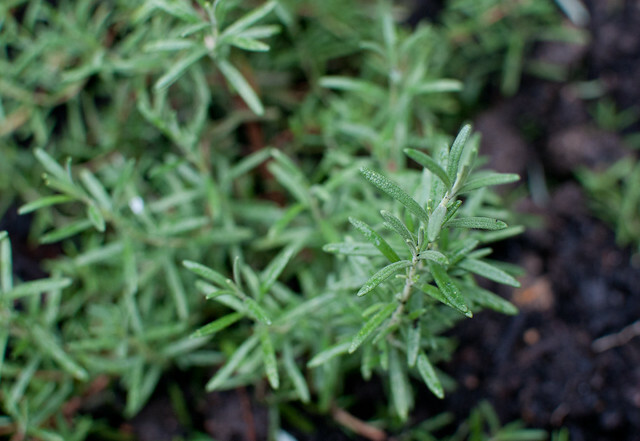 The rosemary flavor is stronger the longer you let it infuse and works well in a Bloody Mary or with lemon juice and simple syrup for a refreshing spring/summer cocktail. 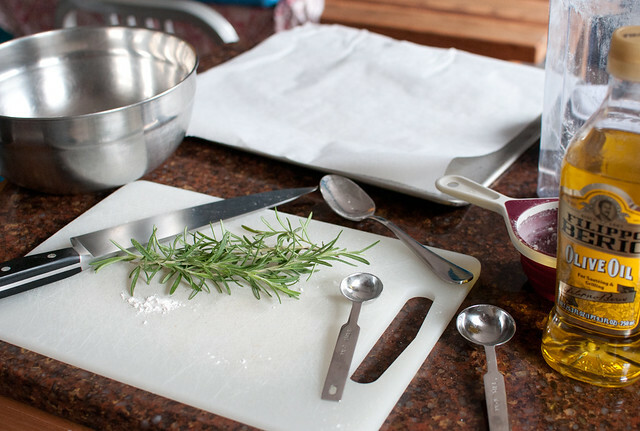 If you have a favorite use for rosemary, let us know in the comments. We’re always looking for more ideas! We use rosemary stems as skewers for shrimp. We’ll put 6-8 decent sized shrimp on a stem then marinate in oil and loads of garlic and salt and pepper. Grill until the shrimp is pink but not overdone or it gets tough. Serving them on the skewer makes for a pretty plate too. Great idea — thanks Sarah!! Rosemary Salt! I use it on popcorn, steak, fish, basically any and everything that you like salt on. Thanks for the recipe, Maria. Been meaning to make rosemary salt too! I made a fennel salt a few years ago and loved it.